Rubén Cuesta-Barriuso, PT, PhD, is a physiotherapist and researcher at the Royal Victoria Eugenia Foundation and associate professor and the Department of Physiotherapy at the European University of Madrid, Spain. 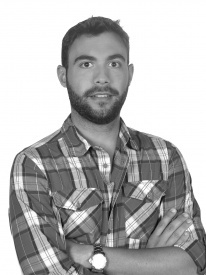 He has a Masters in Orthopaedic Manual Therapy-OMT (2006) from the University of Zaragoza, a Masters in Pediatric Neurology (2009) and Masters in Methodology and Research (2011) from the University of Murcia. Currently, his main research interests are focused on the area of physiotherapy treatment through manual therapy and various physical therapy techniques in patients with hemophilic arthropathy. In 2013, he completed his doctoral thesis at the Faculty of Medicine of the University of Murcia. His research focused on the safety and efficacy of physiotherapy treatment through manual therapy and educational sessions in patients with hemophilic arthropathy. Dr Cuesta-Barriuso received the first prize at the Annual Workshop in Cooperation of Baxter 2015 and the third prize abstract at the Fifth Annual EAHAD Congress and the III International Workshop in Moving Forward Haemophilia. He has also received a number of prestigious research grants sponsored by industry for the development of research projects in which he is principal investigator. He has volunteered for the World Federation of Hemophilia and the Novo Nordisk Foundation in South America (Peru and El Salvador) and from 2001 has volunteered as a physiotherapist at the summer camps for children with hemophilia organized by the Spanish Federation of Hemophilia.